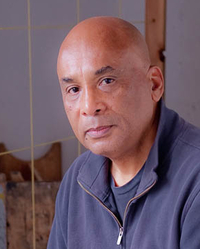 The Seattle Art Museum will feature work by abstract artist and University of Washington art professor Denzil Hurley. The exhibit, titled “Disclosures,” will be on display from May 20 through November. Hurley is a professor of painting and drawing in the UW School of Art + Art History + Design whose works have been exhibited and praised nationally. The exhibit makes a fitting tribute, as Hurley will retire from the UW at the end of the school year after 23 years of teaching. Prof. Hurley answered a few questions about his work and retirement plans. Asked once if you considered yourself a minimal artist, you replied no, that you work reductively. For us non-art-majors, what’s the difference? DH: Minimalism can be construed as a practice with particular reference points in history. To work reductively is really about individual experience and deductive reasoning that might lie outside those reference points. 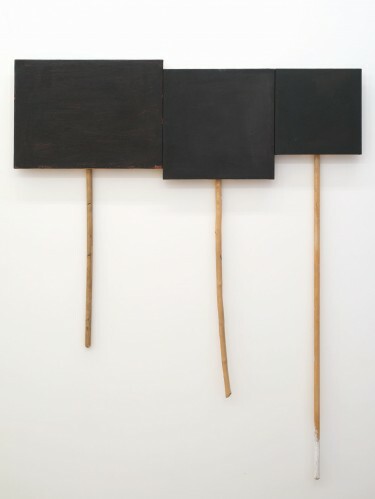 Some say your monochromatic pieces recall Kazimir Malevich’s historic 1915 painting “Black Square.” A writer for the Tate gallery called Malevich’s square “a grand refusal, repudiating nature in favor of abstraction.” In comparing your work to his, are they on the right track? DH: As far as Tate comment is concerned, my work is about conjunctions of similarities and differences that configure differently in order to include history, the present and my perception. Finally, what’s next for you — and your art — after retirement from the UW? DH: I plan to stay here and work as I am scheduled for a 25-year survey exhibition at Tacoma Art Museum in 2019. We will also travel. You may go to CANADA Gallery to find information on my recent exhibit there. And the White Columns Gallery in New York, where I was part of the gallery’s 11th annual “Looking Back” exhibit. The exhibit will include paintings from Hurley’s “Glyph” series, a glyph being a Greek term for a symbol conveying information nonverbally. They resemble the sort of placards people carry at rallies and demonstrations. Hurley was born in Barbados, West Indies, and studied at the Portland Museum Art School and the Yale School of Art, where he earned an MFA in 1979. 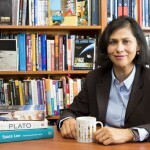 Has received a Guggenheim Fellowship and grants from the National Endowment for the Arts, among others. His work has been included in many group exhibitions, including at the UW’s Henry Art Gallery. His art was previously was shown at SAM in 2003-2004 in an International Abstraction exhibit. In a 2006 Seattle Times article, arts writer Matthew Kangas wrote that artists like Hurley “present a gift to the willing viewer: the pure pleasure of paint on canvas. No muss, no fuss, just enjoyable looking, feeling and thinking. Asked by blogger McClain Johnson to describe his work, Hurley said, “I would describe it as rigorous, clearly abstract; about structuring imagery, color and surfaces. I want my work to seem available and open while maintaining its density.” He named Picasso, Matisse, daVinci and Pollock as influences — as well as the UW’s own Jacob Lawrence. Hurley had several suggestions when asked for advice to aspiring artists.